After clicking the “Download” button, a new browser tab with the pattern will appear. You may can save it to your computer by hovering your cursor over it, pressing the right mouse button and clicking “save image as”. You will afterwards have the possibility of viewing the pattern on your computer as well as being able to print it. 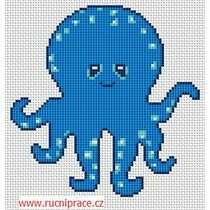 The pattern is designed for the Aida 14ct canvas, however the Aida 11ct and Aida 18ct canvases can be used as well. 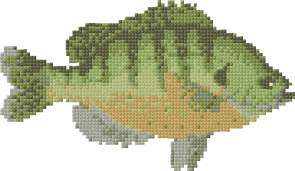 This pattern is designed for cross stitching. The base canvas should be covered by stitches entirely. In case of the Aida 14ct canvas, generally two strands of the six-thread floss are used. The embroidery size depends on the canvas used. 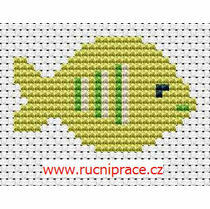 This pattern is designed for the Aida 14ct canvas with a density of 5.5 stitches/cm (14 stitches/inch). The embroidery size changes according to the type of canvas used. The Aida 11ct canvas has a density of 4 stitches/cm (11 stitches/inch) and the Aida 18ct canvas has a density of 7 stitches/cm (18 stitches/inch). Are you looking for help with embroidering? 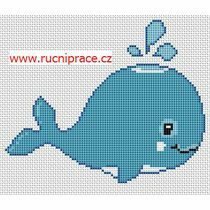 Check out a guide on cross stitch or the guide for beginners. Warning: This pattern is intended for personal usage only. It is strictly prohibited for it to be sold or copied.